So far so good with my shopping diet. I haven’t bought any new clothes and I have been working out and eating better. Two pounds down still but hoping that I will see more negative movement on the scale soon. 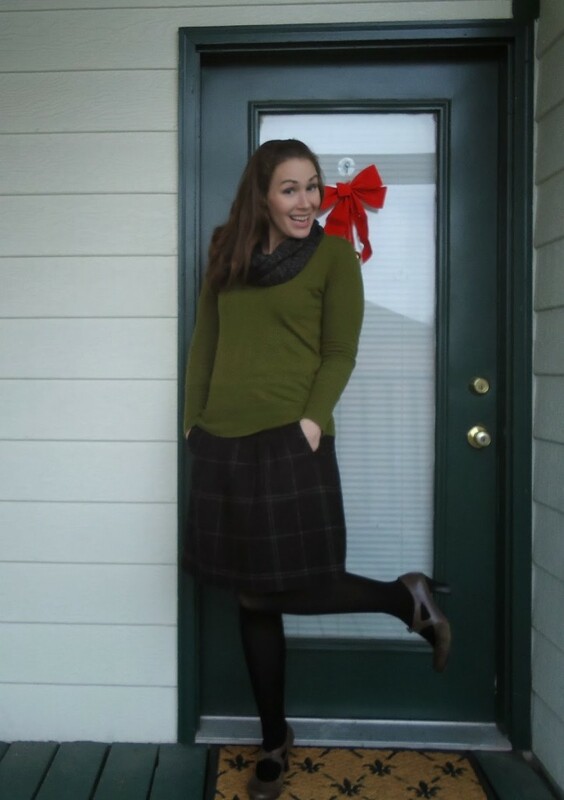 I wore this outfit to work a few weeks ago (hence the Christmasy ribbon). 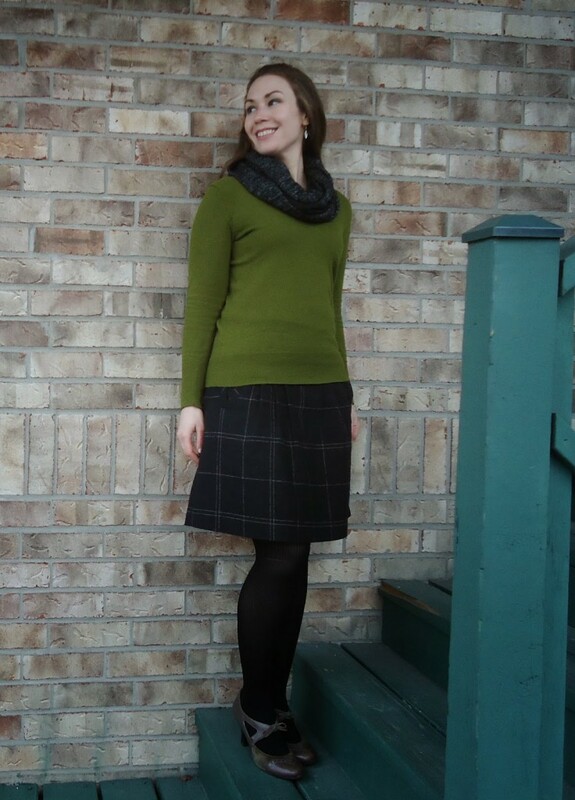 It’s my grown-up take on the plaid schoolgirl skirt. I am young and look young, hence I have to be careful not to wear a skirt like this with black flats, a white button down, or anything else uniform-like so I paired it with a colored sweater. 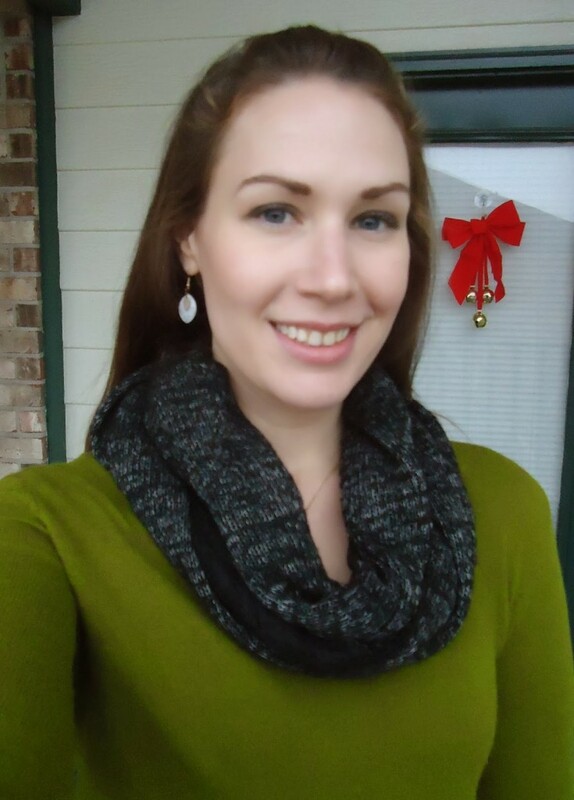 I love the cozy fabric textures and topping it with the infinity scarf keeps my neck warm despite the v-neck sweater.